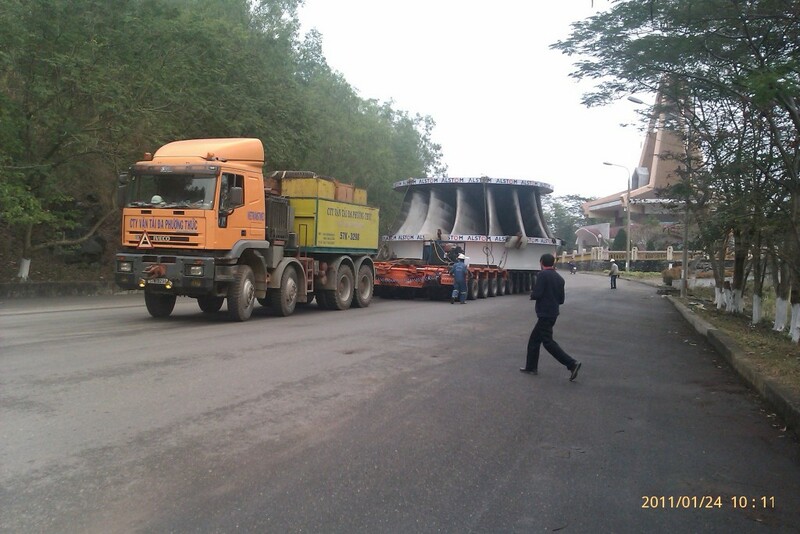 The photos show oversize transport project in Vietnam. 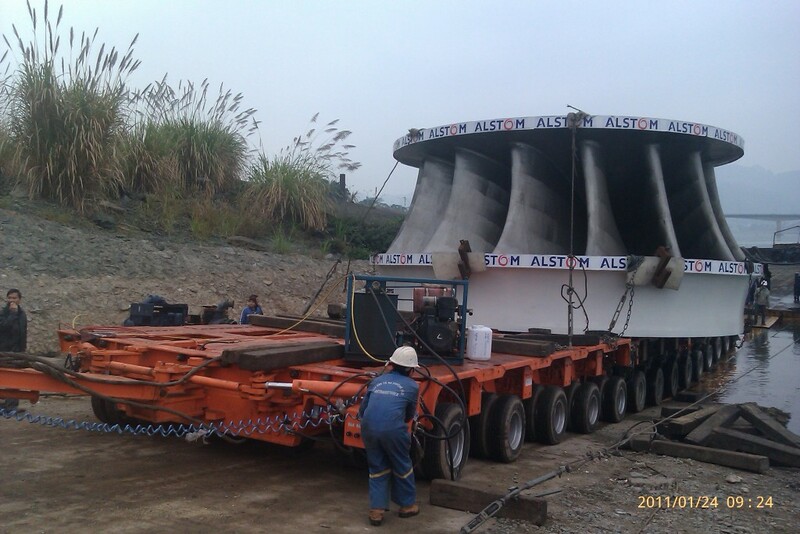 Water turbine was hauled by our hydraulic multi axle in side by side connection mode (complete trailer connect with split trailer to get three files trailer, 3 hydraulic bogies 12 tires a line). Hydraulic modular trailer modules can be connected end to end for abnormal cargo as well.